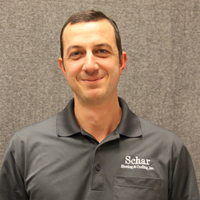 The technicians and staff at Schar Heating & Cooling, Inc. are a dedicated group of individuals, working together as a team to ensure quality work and customer satisfaction. 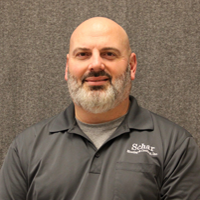 After many years spent directly in the field working on service and installation projects; Gary’s role consists mainly of business administration, personnel and sales management support to the excellent team at Schar Heating & Cooling, Inc. One of Gary’s greatest rewards is providing warm radiant floor heat as the best form of indoor comfort during our cold winters. Outside of work, Gary is inspired by travelling and spending time in God’s beautiful creation. 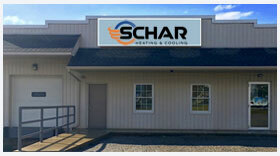 Karen has been involved at Schar Heating & Cooling, Inc. since 2003. She takes care of invoicing, billing, answering questions, and keeping the office running smoothly. Karen enjoys making delicious breakfasts for our Tuesday morning meetings. Spending time with her children and grandchildren, and also being active in her church are a joy to her, when not in the office. 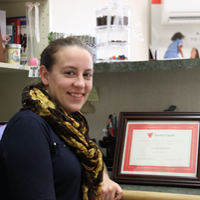 Sarah started working in the office here at Schar Heating & Cooling in 2009. 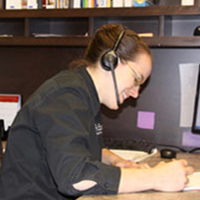 She is involved in scheduling installations, dispatching the Service Technicians, and preparing quotes. Sarah orders parts and equipment for service and installation jobs. Outside the office, Sarah enjoys gardening and also being with her family. 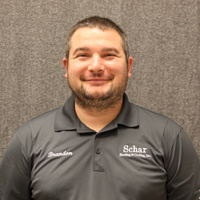 Trinda began working for Schar Heating & Cooling, Inc. in May 2014. 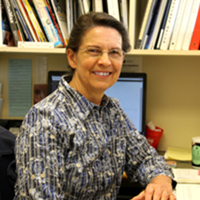 She keeps busy with answering the phones, scheduling service and sales appointments, and assisting customers. Trinda also handles marketing and other tasks in the office. 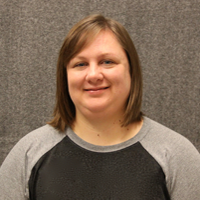 When not at work, Trinda enjoys spending time with her family and friends, and her hobby of raising puppies. 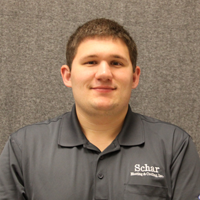 Luke provides support to our office and sales team; he is currently attending The University of Akron, Wayne College, to attain a degree in Business Management. After hours, Luke finds pleasure in mountain & road biking. In 2016, he rode around 2,300 miles on his bike! 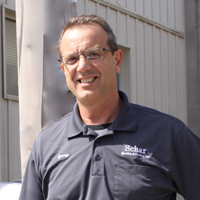 Neal has broad experience serving residential and commercial customers. 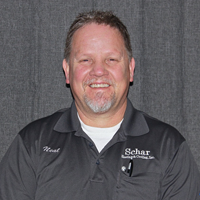 Neal is a NATE Certified Technician in Gas Heating; he is very involved in the Sales area of our business. If you need a quote for new HVAC equipment, call and request Neal for his expert skills and advice. Neal appreciates the many opportunities that are spent with his family and helping out at his church. Many loyal customers request John! 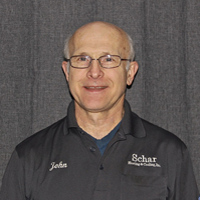 He has over 44 years of experience in the heating and cooling trade! He works on all brands of furnaces and air conditioners. John is NATE certified in Air Conditioning. 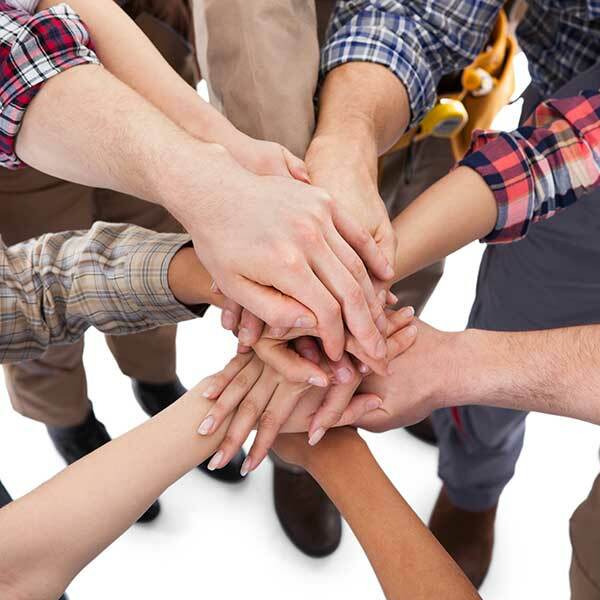 When away from work, John finds great satisfaction in doing projects with all of his adult children. Reading and biking are among his favorites as well! Andrew attended the Buckeye Career Center where he received his HVAC Certification. He is employed as one of our Commercial Comfort Service Technicians. In his spare time, Andrew enjoys activities such as fishing, biking, spending time outdoors, and most water sports. 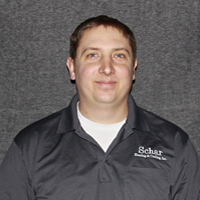 Jared schedules & oversees our high-quality residential and commercial installations. 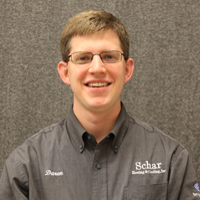 His skills range from in-depth controls & boiler piping to training new install technicians. 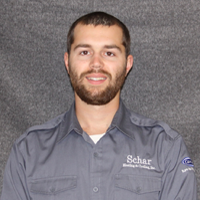 Jared has completed HVAC training and is NATE Certified in Air Conditioning. 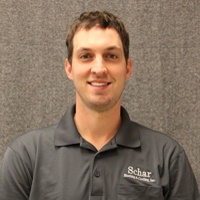 He has worked for Schar Heating & Cooling, Inc. since 2005. His interests beyond work, include outdoor cooking on the Big Green Egg. He also loves the time he can spend with his wife and 2 children. 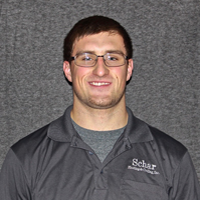 Nate began his career at Schar Heating & Cooling, Inc., as an Installation Specialist in October 2013. He has high standards for quality work! Nate replaces and installs new equipment in residential homes. On a personal note, Nate enjoys being a husband, father, and grandfather. In his free time, he also greatly enjoys music and reading books. 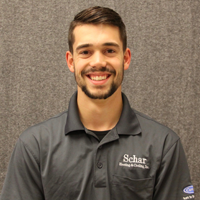 Joshua was a new addition to our team in October 2015, as an Installation Specialist. 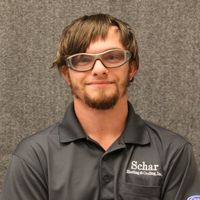 He attended the Medina County Career Center where he received HVAC training. Outside of work hours, Josh enjoys being involved in his church activities. Josh loves any opportunity to play volleyball. 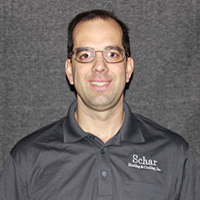 Brad joined our Schar Heating & Cooling, Inc. team in March 2016. 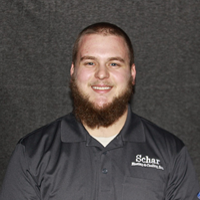 After completing HVAC training from the Medina County Career Center, Brad is working full-time as an Installation Specialist. When not at work, Brad finds himself spending his free time repairing, upgrading, and working on vehicles. Brandon is the newest member of our team. He is working full-time as one of our Installation Specialists. Outside of work, Brandon likes to spend time outdoors and with his relatives. Brandon enjoys playing ball and other sports with his friends.